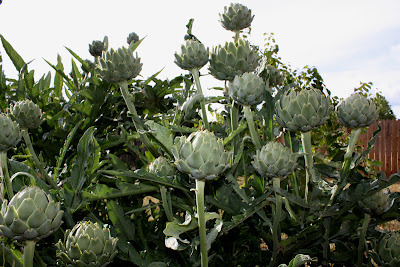 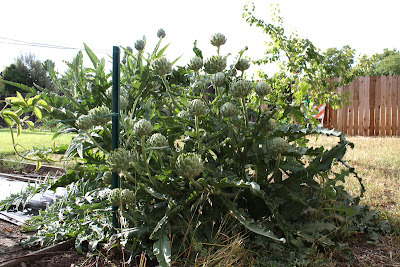 One surprise we had this year was our artichoke plants. Both Brian and I were expecting one maybe two artichokes per plant but we ended up with way more than that. We also have some red raspberries, blackberries, blueberries, tomatoes, peppers, and onions growing. At the beginning of spring we were worried about our peach tree as it had some sort of bacterial disease visible on the leaves. 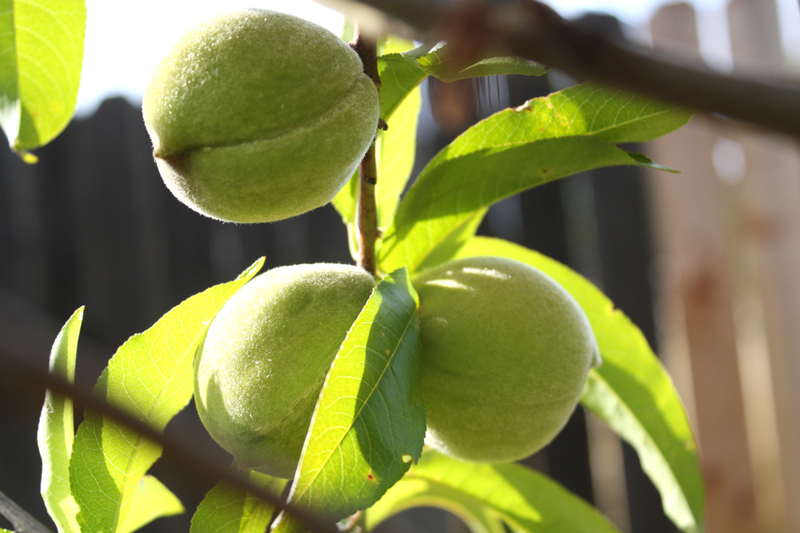 It seems that the plant fought it back as I can see no more infected leaves and there are a few peaches growing. 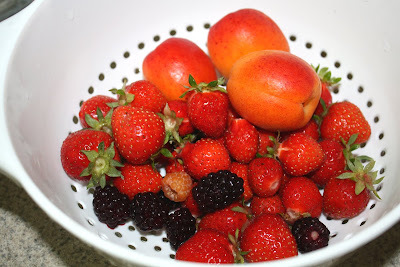 So Brian and I are having fun with our garden this year!